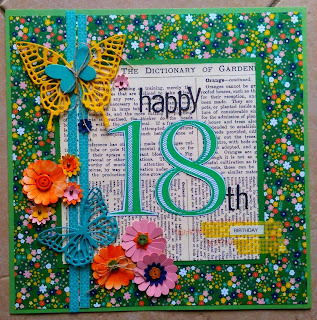 To make the 18 I created it on Word and printed it out on Whisper White cardstock, then added a few more lines and a bit of colour with my Stampin' Write! markers. I cut them out and adhered them on the designer series newspaper mat. 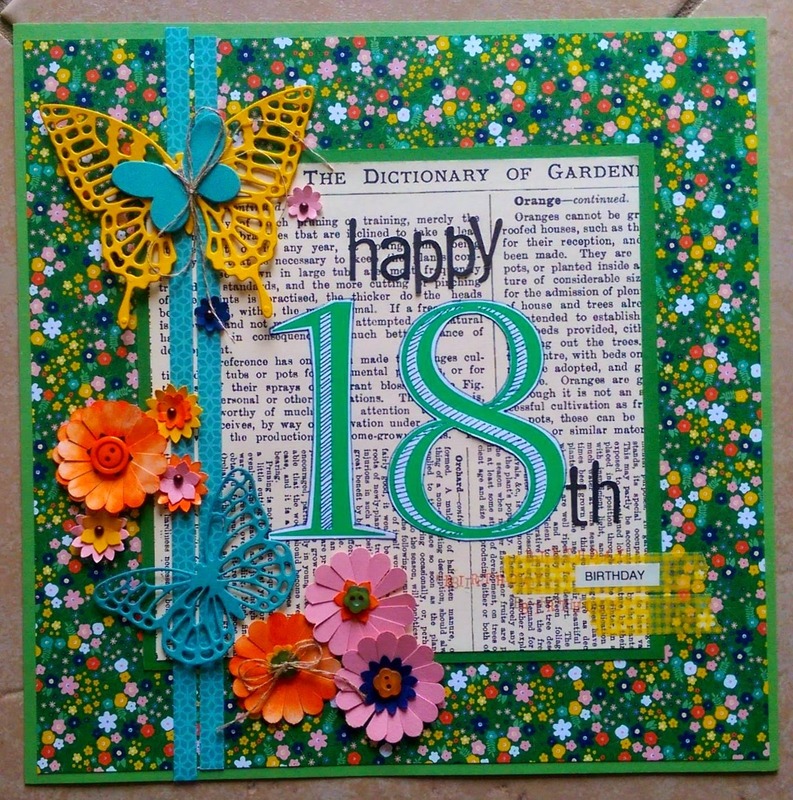 All the flowers and borders were made with Stampin' Up! punches and dies. (I'm so glad the butterfly die is carrying over to the 2015-2016 annual Stampin' Up! catalogue. It's a gorgeous die). I used some washi tape, some stick on alphas, Garden Green and Lost Lagoon cardstock, and retired designer series paper. There's some linen thread and buttons in amongst the embellishments too. 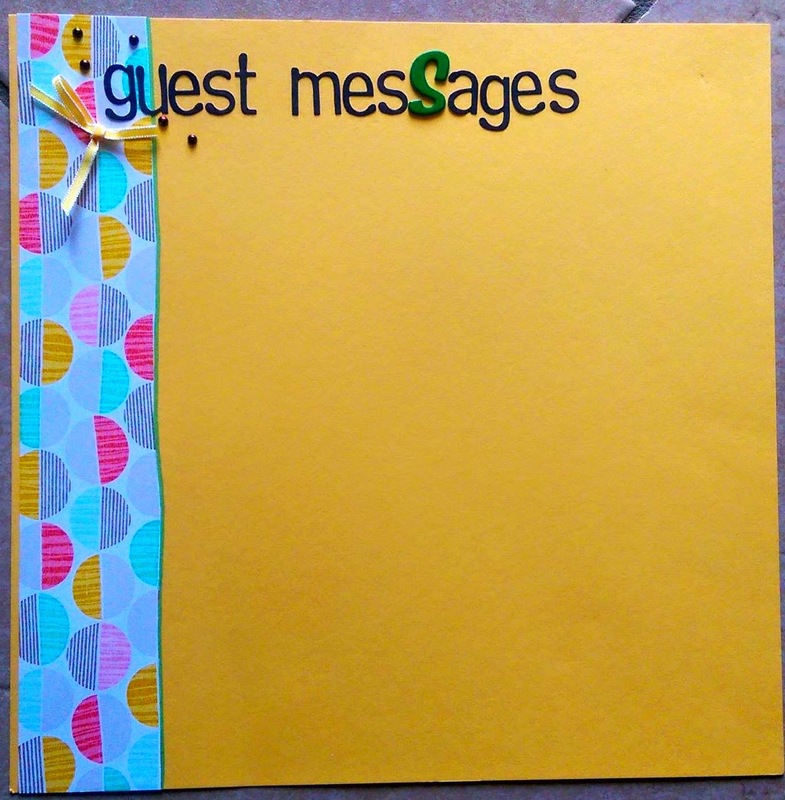 I used some (then) current designer series paper for the border and cut along one of the wavy lines in it. 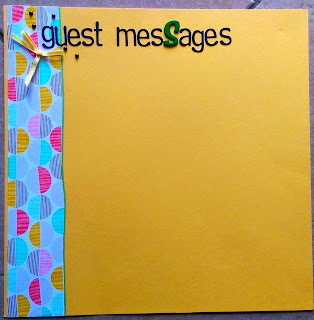 The background cardstock is Daffodil Delight. The title is done with stick on alphas and I added a tiny Daffodil Delight bow and some bronze coloured pearls. We provided a marker for people to write messages on the night. The page was full when the party was over! I'll show you some more layout pages another day. Beautiful layout and wonderful colors you have been working with. I love this card and the way you have done the inner as it will be great for everyone to be able to sign it. Fabulous memory piece for her to keep.